OXFORD, Miss. 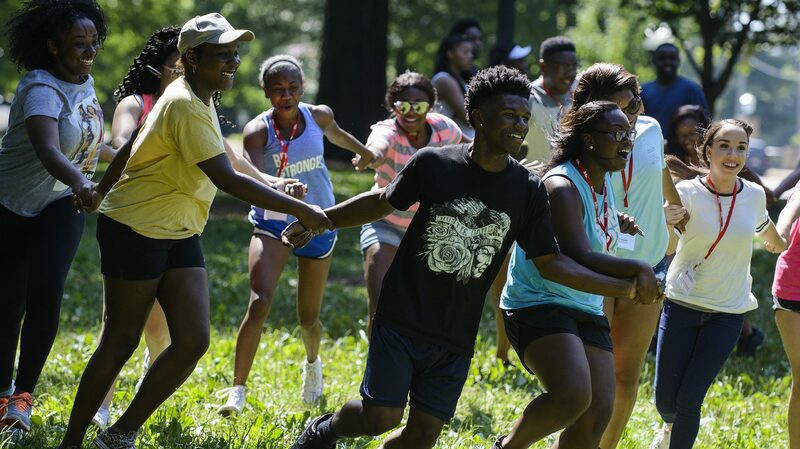 – An annual three-day event aimed at recruiting African-American high school seniors in the state to the University of Mississippi is expected to draw a record number of students this month. The 2018 Mississippi Outreach to Scholastic Talent, or MOST, Conference targets prospective UM students with leadership activities, academic offerings and campus resources, as well as guidance from faculty, staff and student leaders. More than 850 applications from 140 Mississippi high schools were received for the event, set for July 15-17. A partnership between the Office of Admissions, Center for Inclusion and Cross Cultural Engagement, the Office of the Vice Chancellor for Diversity and Community Engagement and the Office of the Vice Chancellor for Student Affairs, the conference is made possible through the support of the Office of the Provost, Fed Ex, the Caterpillar Foundation, Department of Intercollegiate Athletics, FASTtrack and the LuckyDay Scholars Program. “This summer, we anticipate hosting our largest conference ever,” said Shawnboda Mead, director of the Center for Inclusion and Cross Cultural Engagement. “Because of the high level of interest, we had to make some tough selection decisions. Last year’s MOST event included 424 students. The Office of Admissions is grateful for the campus partnerships that make this conference a reality, said Whitman Smith, director of admissions. All the applicants are excellent students who have succeeded academically while also being heavily involved in leadership organizations, academic clubs, community service and sports. MOST will include activities such as college success and preparation workshops, student leadership panel discussions, networking opportunities and financial aid and scholarship information. “A few of the social highlights include the faculty-staff networking dinner, team-building activities in the Grove and pep rally with Ole Miss athletics in the Pavilion,” Mead said. “We’ve also added MOST Got Talent to the line-up. During the conference, students are paired with mentors who remain connected with them through the college admission process and throughout their freshman year. Since the first MOST Conference in July 2015, three cohorts of MOST have enrolled. Participants include rising university juniors and sophomores and incoming freshmen. This summer’s participants will become the fourth cohort this fall. Past participants credited the conference experience as a deciding factor for them to attend the university. Approximately 30 percent of MOST participants enroll at Ole Miss. The first-year retention rate for the 2015 MOST cohort was 86.4 percent. MOST 2016 retention rates will be confirmed in August, but are expected to exceed MOST 2015 numbers. Throughout the conference, students are encouraged to share their experiences and engage with via social media. Members of the university community can follow the conference hashtag, #UMMOST18, to take part. Following the conference, students often share their reflections, which have been positive over the years. MOST Conference attendees are also invited back to campus to participate in the MOST Reunion, held in November. “We encourage the students to apply to the university by October 1, prior to opening of MOST Reunion registration and provide important information about housing, scholarships and orientation throughout the year,” Mead said. 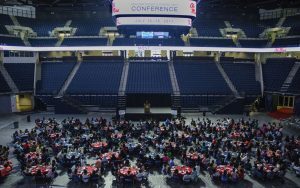 The MOST Conference exposes talented students to the opportunities and rigor inherent in obtaining a college degree, said Katrina Caldwell, vice chancellor for diversity and community engagement. A MOST 2017 highlight video can be found at https://www.youtube.com/watch?v=avqZ3tLyk50&feature=youtu.be.